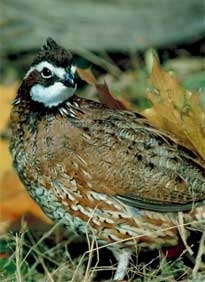 A coordinated effort to restore quail populations in South Carolina just got an electronic boost via a new website, www.scbobwhites.org. The new site is a clearinghouse for the latest information available on the "South Carolina Bobwhite Initiative," an effort aimed at bringing bobwhite quail populations in the Palmetto State back to the levels that quail hunters enjoyed in the early 1980s. It's no secret among hunters and conservationists that wild quail populations have dropped precipitously over the last four decades. In December 2014, a group of state and federal agencies, conservation groups, sportsmen and landowners formed the South Carolina Quail Council, with the goal of planning and carrying out a statewide plan for recovery of bobwhite quail, as well as other associated grassland bird species that are also in decline. S.C. Department of Natural Resources (DNR) Director Alvin Taylor serves as chairman of the steering committee for the group. Science-based approaches to quail recovery that have been proven to have significant impact on quail recovery do exist, but implementing these plans is a tough task that requires a coordinated effort over broad areas of land. The new website is designed to make it easier for private landowners and others interested in quail restoration efforts in South Carolina to get information about the South Carolina Bobwhite Initiative and connect with the agencies involved. The help and cooperation of private citizens is not only welcome, it's necessary for the plan to work, say DNR biologists involved in the effort. "Bringing them back to 1980s levels is the goal," said Michael Hook, a DNR wildlife biologist who coordinates the agency's Small Game Project. "I'm very excited that the South Carolina Quail Council has been able to roll this effort out. Bobwhite quail are still an important game species in our state, despite recent population declines, and I'm very hopeful that with these efforts we will be able to 'bring back the whistle'." That sentiment is echoed by the DNR's Breck Carmichael, a veteran wildlife biologist with the agency and current special assistant to Director Taylor. Carmichael has also served as a past national coordinator of the National Bobwhite Conservation Initiative. "Some people say the goal (returning quail populations in their historic ranges to the levels that existed in the 1980s) is not ambitious enough," said Carmichael, "but I can tell you this: I was quail hunting in the eighties and it was a lot better then than it was now." The heart of the S.C Bobwhite Initiative is based around four "Focal Regions" encompassing smaller "Focal Areas," locations that experts believe have the most potential for growing the greatest number of bobwhites. To identify the regions and areas within those regions, biologists crunched a lot of data about how land is used in different parts of South Carolina and the types of cover and vegetation that dominate the landscapes across the state, and they determined that these areas were the sweet spots for growing quail. These areas aren't the only areas in the state with bobwhites, but they do present the best opportunities to increase populations quickly and with the most bang for the buck. "This is really a big partnership, a collaborative effort," said Carmichael. "As we go forward, we'll see what resources people can bring to the table." "There's a whole lot that can be done in South Carolina," added Hook. "We'll start with the four Focal Areas and see where we end up."